Whether you have an interest in teaching, conducting research, pursuing a career in higher education or counseling, or any other area where instruction and learning occur, the Syracuse University School of Education has over 40 graduate programs to help get you there. Join Syracuse’s network of students, researchers and scholars as they continue to shape and inform educational practice for diverse communities around the world. New Scholarships available for master’s programs! Why the School of Education at Syracuse? 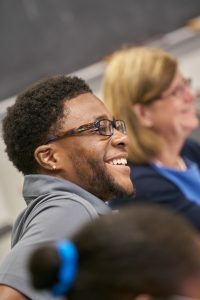 You’ll be a part of a carefully selected cohort within a small School of Education of around 575 graduate students, so you’ll enjoy small classes, personal advising, and close relationships with faculty and staff. 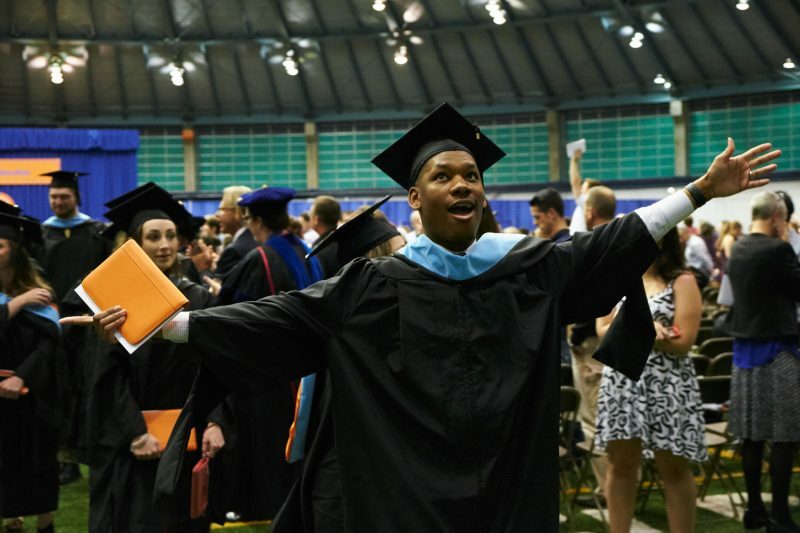 But you’ll also have access to the extensive benefits of the broader Syracuse support system: once you graduate, you’ll join a network of over 250,000 accomplished alumni. You will be part of a community that has a commitment to inclusion and diversity. The School of Education pioneered the inclusion movement in the United States, making it possible for all learners to participate in typical classrooms. A breadth of opportunities in research, clinical practices, field placements, internships, and graduate assistantships to help you connect coursework and theory to real world settings and professional practices. The School of Education emphasizes a multidisciplinary approach to learning. Broaden your perspective and enhance your resume with Syracuse Abroad experiences. Consistently ranked one of the top international education providers in the U.S., Syracuse offers more than 100 programs in 60 countries. School of Education students have opportunities to participate in a School of Education short-term signature program for 1-6 weeks. Through the Himan Brown Fellowship, School of Education students are also eligible for exclusive funding to support study abroad experiences. Specialized certification and career services support is provided for all School of Education students in pursuit of their post-graduation goals, including workshops on certification, resumes, and interviews; recruitment sessions; career fairs; and one-on-one personalized job-exploration assistance. We bleed orange and want to help orange families continue their legacy! The School of Education Orange Family scholarship will offer funding covering 25% of tuition for a School of Education master’s degree to children of Syracuse University faculty and staff members. Scholarships are also available for Syracuse University alumni, students interested in high-needs teaching areas, and more. Each School of Education graduate program sets their own deadlines and application requirements; review the Admissions page under each program for more information. While many offer rolling admissions on a space-available basis, ensure all of your materials have been received by the deadline to be considered first. All graduate applications to Syracuse University require official transcripts, letters of recommendation, a personal statement, and a resume or CV, but many have additional testing or supplemental requirements. The Graduate Application Fee is $75. The deadline for School of Education Endowed Scholarships is January 15 for the following academic year. Note that this is a separate application from admissions and applicants will not be automatically considered for these scholarships.